I admit that this one started a bit slow for me, but quickly picked up the pace. Around chapter four, it really hit a stride and I simply could not put it down until I finished. We first meet Christy as she is discovering that her sister has died in a house fire. We learn that her parents also recently died, and Christy is learning to cope. Then the letter arrives that shows that it was not the sister in the burning house, and then this story gets so exciting. My heart went out to Christy with all her loss and heartache, and then watching her rollercoaster as she learns that her sister may not be dead. Lance won my heart immediately. He is a rookie FBI with a military background, but seems like a genuine good guy. He pretty much falls for Christy the moment he first lays eyes on her, and I found myself hoping the two of them would end up together. As Lance and Christy work together to piece together the mystery of the sister’s staged death, Christy’s life becomes endangered. This, along with tragic events in Lance’s life, seems to equally push them together and pull them apart. I was on the edge of my seat as things seemed to unfold with Christy and the man that had been taunting her, but I could hardly stand the suspense of feelings that also lingered between her and Lance. This book was so captivating and a great suspense story. Put it on your reading list. I love devotionals, and this is such an amazing book. I love how the devotions are written in a way that sounds like Jesus talking to the kids. The devotions are relevant to things kids are going through these days, and things that kids tend to worry about on a daily basis. In addition to the 150 devotions that are included, each lesson also includes three or four verses that are relevant to the lesson for the devotion. My kids enjoy reading the messages and talking about how they apply to their lives every day. The stories are easy to read and easy to understand from a kid point of view. My older one even enjoys teaching the lessons to my younger one. This is a great book for your kids, and would be a wonderful addition to your library. 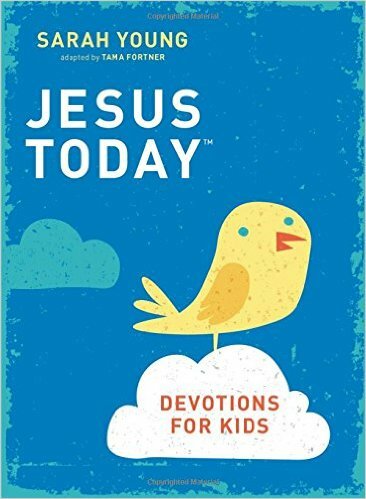 FlyBy Promotions is giving one of my readers a copy of Jesus Today: Devotions for Kids. Just use the giveaway widget below to enter. Entries will close at 3pm CST on February 1st and I will email the winner. This is possibly the best suspense novel I have read in a very long time. From the very first chapter I knew I was hooked and it was going to be a great story. I ended up reading this entire book in one sitting because I could not make myself put it down. This book opens with Casey packing her things and fleeing town. We are led to believe she is running because she is guilty in the murder of her best friend. We quickly met Dylan and realize that Casey is running simply because she knows her life is in danger and she does not trust the law to do what is right. I was constantly amazed at Casey’s ability to run and hide undetected with half the country looking for her. She has some amazing skills at staying under the radar. She is a likable character and I found myself hoping she would get away before anyone was able to find her. I also immediately like Dylan. He seemed like a good guy who was determined to do the right thing. Once he realizes the real issues behind Casey running, Dylan becomes even more likable and I found myself wishing he would bring the right people to justice in the most public of ways. I also fell in love with Ms. Lucy, Casey’s new friend. Ms. Lucy is the kind of woman I would want to befriend me if I ever found myself alone and far from home. I also loved that Ms. Lucy has a huge heart for God and she was willing to witness to Casey every chance she got. 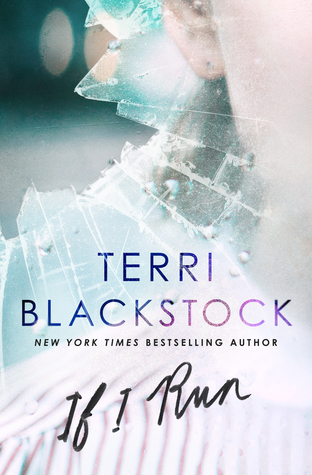 She was able to use her horrible past and current situations to show Casey that God is always there for us – even though sometimes it seems like He is not. This book has a twisted plot up until the very end. I was on the edge of my seat as the pages scrolled towards the end, and was hoping to get everything wrapped up in a neat little package. But we got a cliffhanger in the end! I hope this means there will be more of these characters in an upcoming book. I have not gotten my fill of their lives and I cannot wait to catch up with them to see how everything goes down. "When it started, it was the size of a dot, but it dissolved like a drop of ink into a glass of water. The clear became clouded, and that what was once light now faded into dark. It spread like a disease affecting all mankind, this evil." He knew it wasn't safe. He vowed to live out his life on an island of paradise. After a world-wide societal fallout, Judson, Rune, and Abel, three siblings, have grown up isolated on a Caribbean island, protected and cared for by their father. But when he realizes that the island's food sources are running gravely low, he's forced into making a decision he thought he'd never make: to return with his family to the dangerous mainland. However, the siblings don't exactly agree with their father's decision. And these three can fight--fight with a volatile sibling ferocity. 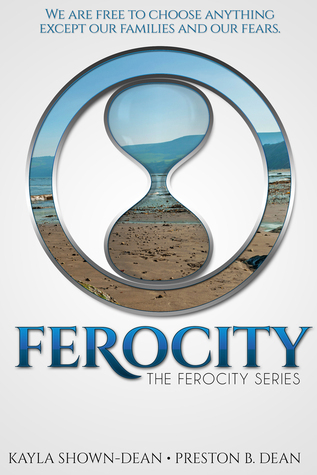 The first of The Ferocity Series, Ferocity is an action-packed young adult dystopian that explores familial relationships in the midst of widespread chaos and the limitations of our own fears. This book opens in the year 2019, and really has two stories within the book. I actually thought that these two stories were happening at the same time and would eventually intersect, but I was wrong. As we learn in the end, the two stories are actually 20 years apart. And yes, they do eventually intersect, just not in the way I thought they were heading. The first story is that of siblings Judson, Rune, and Abel, and their father on an island. They are living on the island as an escape from the harshness of the real world. Their father has determined they need to return to the mainland, and starts making preparations to do so. They thought of returning to the mainland seems to cause a separation among the siblings that cannot be mended. The story of the siblings on the mainland didn’t do much for me. I felt that too much effort was made to make it futuristic that it sometimes made it difficult to follow along. I felt some of the actions of the characters was unrealistic, and I felt lost most of the time. There just didn’t seem to be a sense of flow to the story and it fell flat for me. However, the second story in the book was taking place in the mainland. Mobile, Alabama is in despair. Christopher has landed on the mainland in hopes of finding his family but instead meets a lovely girl. The two of them set out to try to save themselves from the looters and murders that have taken over the town. Their story is one of suspense that actually kept me on the edge of my seat. I was rooting for them to make it out alive, but their actions seemed to sometimes make me think they wanted to be killed. We are led to believe they eventually made it out of Mobile by way of a tattered sailboat. This book is not considered Christian Fiction, but does tend to have a Christian theme thorough much of the story. It is classified as young adult dystopia. 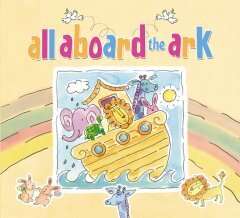 All Aboard the Ark pairs simple rhyming text with charming watercolor illustrations in this delightful board book perfect for little ones. My son loves for me to read to him, but sometimes he still loves to get a board book and “read” to himself. This book is perfect for him to flip through and read to himself. For kids, the sturdy board book will hold up to whatever your preschooler will put it through. It has fun illustrations that are very eye-catching and do a great job telling the story. For parents, this has a fun sing-song style that is easy to read. It introduces the story of Noah’s Ark to your little one and gives them something they can enjoy for years to come. This book is a great addition to our bookshelves. Mallory’s mother died fifteen years ago. But her father’s last words on the phone were unmistakable: “Find . . . mother.” Shame and confusion have kept Mallory Davis from her home for the last fifteen years, but when her dad mysteriously dies on his mail boat route, she doesn’t have any choice but to go back to Mermaid Point. Mallory believes her father was murdered and childhood sweetheart Kevin O’Connor, game warden in Downeast Maine, confirms her suspicions. But Kevin is wary of helping Mallory in her search. She broke his heart—and left—without a word, years ago. When Mallory begins receiving threats on her own life—and her beloved teenage daughter, Haylie—their search intensifies. There’s a tangled web within the supposed murder, and it involves much more than what meets the eye. As answers begin to fall into place, Mallory realizes her search is about more than finding her father’s killer—it is also about finding herself again . . . and possibly about healing what was broken so long ago with Kevin. She just has to stay alive long enough to put all the pieces together. 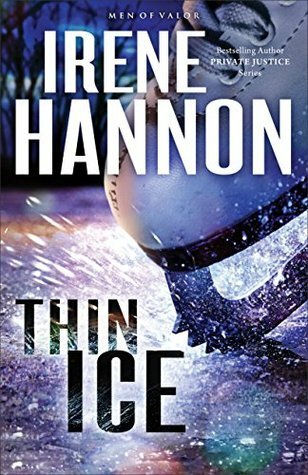 This book started with action in the first few paragraphs, and it just got better as the pages turned. Mallory has a dark past with the people of Mermaid Point and she is not looking forward to returning to the town she grew up in. But her father dies while she is on the phone with him and she knows she has to face the town. As soon as she arrives in Mermaid Point, we get to meet some of her old friends and we begin to learn the story that has shamed her for so many years. Mallory is convinced her father was murdered, but she is the only one who seems to think so. 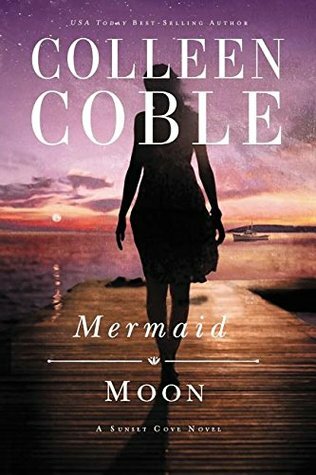 Soon after she arrives in Mermaid Point events start happening that makes the local law enforcement admit that her father’s death may not have been accidental. As this story unfolds, we get one twist after another – an element that I absolutely loved about this book. As soon as things start to seem like they are going to be okay another crisis hits and I found myself rethinking the conclusions I had come to about why everything was happening. In the middle of all the horrible things that are happening, we also get to see Mallory and Kevin become friends again. They had a relationship in the past, but it ended when Mallory left town and never looked back. I liked Kevin as soon as I met him, and felt a great deal of respect for him as I watched him with his daughter and with those around him. I was rooting for Mallory and Kevin from early in the book. Just when I thought I had had the mystery figured out, another revelation came out of nowhere and completely rocked this story. I loved it! I also loved that this book had me guessing until the very end. There was never a dull moment, and I felt completely wrapped up in the characters and their stories. I very much appreciated how this book ended, and I hope we can catch up with these characters again very soon. A must-read for your reading list. I'm blessed to receive review copies from publishers, but I don't actually have a bookshelf at my house and I'm running out of room to stack my books. So, I'm sharing the wealth. I'm giving away a few of my review copies to you - my readers. Below is a list of the books up for grabs. Just use the giveaway widget below to get entered. I'll close the giveaway Saturday (Jan 23) and will email the winners of each book title. One separate winner will be selected for each book. Good luck! The New Year has started out amazing, and I have high hopes for the year to come. I kicked 2016 off with the newest from Jody Hedlund, Undaunted Hope. This book was an amazing story, and you can read my review here. I have been privileged to be a part of Jody’s launch team for this book, and I have had so much fun getting to know more about Jody. She is such a sweet woman and truly appreciates her readers. Today I am bringing you a little Q&A from Jody about her newest release, and a few personal questions you might enjoy as well. How did you come up with the idea for Undaunted Hope? The heroines in the first two books actually live in lighthouses. 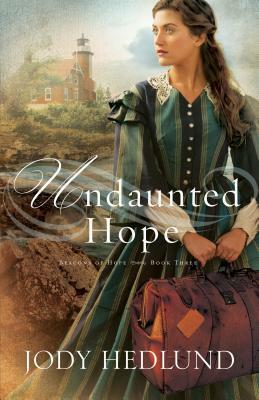 In Undaunted Hope, the heroine is a school teacher. Why did you decide for her to be a school teacher instead of a light keeper? In your other lighthouse books, the heroines are inspired by real women keepers. 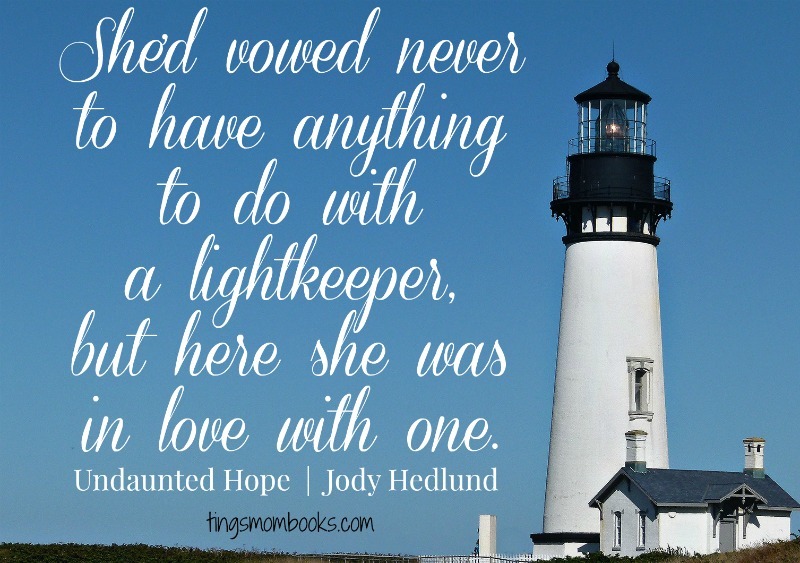 Did you use a real light keeper as part of the inspiration for the heroine in Undaunted Hope? 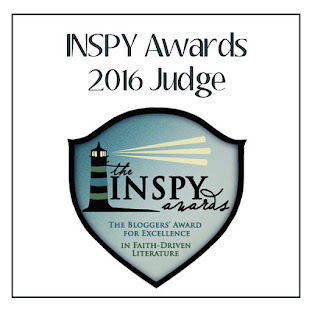 Most of us gravitate toward the stories that glamorize lighthouse life and honor the women who served in them. That's only natural. And I hope in my other two books in this series, I give those women the laud due to them. However, I didn't want to neglect the women who served in lighthouses whose experiences weren't quite as glamorous, who served even though they disliked the duty. One woman in particular inspired this book. Her name was Cecelia Carlson McLean who was married to keeper Alexander McLean who served at various lighthouses around Lake Superior. When she was interviewed later in her life, Cecelia was very forthright in stating that she hated lighthouses, that they were lonely places, and that she'd had to sacrifice a great deal to live in them. She claimed that if she had to do it over, she wouldn't choose life in a lighthouse. Of course her story made me think about the many hardships that light keeping entailed, especially for women–the extreme isolation, the lack of luxury, and the constant threat of danger. So out of Cecelia's hardships, I created Tessa and tried to imagine the underlying motivations for what might cause someone to hate lighthouses. Although I had Tessa work through some of her fears and dislike of lighthouses, I'm sure most women like Cecelia took their resentment of lighthouses with them to the grave. Do you base the villain in Undaunted Hope on a real Michigan criminal as you do in previous books? If so, who did you pick this time? The villain, Percival Updegraff, is based on a real rogue from Michigan history, Albert Molitor. Molitor lived in Rogers City and ruled as "king" over his wilderness lumbering community. He controlled who was hired and fired. He had a company store and held a monopoly on all food and merchandise. He was also a sexual predator. Since he had so much control over the people who worked for him, if he took interest in a woman, he would walk into the woman's house and order her into bed. If she refused or resisted, he'd fire her husband and force the family to leave the company owned home. He "ruled" this way until the people in the community finally revolted. They held secret meetings to plan to overthrow him. And while it took a couple of attempts, they attempted to assassinate him. He was mortally wounded and eventually died which finally freed the town of his cruelty. What do you hope readers take away from Undaunted Hope? As a Christian writer, how do you keep yourself spiritually revived so that you have fresh messages to share in your stories? What is your favorite social media hangout? Currently my favorite social media hangout is Instagram. I'm a very visual person and love pictures. I use Instagram to post personal pictures of my kids, family life, food, and cats. A second favorite is Pinterest, also because of all the pictures! I have a variety of boards there for my stories, writing tips, reading humor, etc. And I also use it for secret boards for potential characters and settings of future books. I have loved this series so much. Getting to know the Monahan men has been a blast and I think I would like these cowboys, haha! 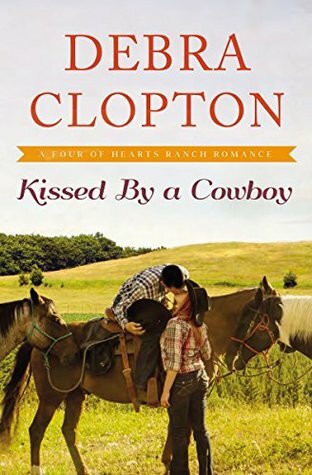 In this third installment in the Four of Hearts Ranch series, we get to meet Cassidy. Cassidy is not new to Wishing Springs, and she has returned following a divorce. Due to my personal beliefs about divorce, I typically try to steer away from books that use divorce as a launching pad to a wonderful love story; but for this story, it works. It is apparent that Cassidy did everything she could to save her marriage and stuck with her ex-husband for a very long time after they began having problems. Cassidy did her part to try to avoid divorce, and she believes she is doing her part to avoid the same mistakes in the future. Cassidy is a determined to be independent and to make a life on her aunt’s farm. She immediately gets to work building her dream with the house and the strawberry farm location. She seems to fit in with the towns’ people as if she never left. I love how everyone in Wishing Springs just takes her in and makes her feel a part of the big family. Cassidy’s downfall is her pure determination to be independent, and it almost cost her the love of her life. Then there is Jarrod. Of course, we have already met Jarrod in the previous two books in this series, but this book focuses on Jarrod and his life. Jarrod’s role in the ranch business is the ranch itself. He lives on the ranch and spends every hour of his life trying to make it a profitable business. He has also proclaimed himself a bachelor for life and does not intend to ever fall in love. It is these types of proclamations that seem to get people in trouble, huh? As soon as Jarrod sets his eyes on Cassidy again, both their plans of independence seem to fall apart. I do not think it would be a spoiler to tell you these two are going to end up together, but the road getting there is full of twists and turns. Cassidy is determined to not let Jarrod in her life, and the events that led up to her change are so exciting to read. The rest of Wishing Springs is still around, and the characters I have fallen in love with continue to be a part of this series. In fact, another couple we have been getting to know also gets a happy ending with this book. This book is the third in a series. It can be read as a stand-alone, but you will enjoy it much better if you read the first two as well. Books in a series just seem to be much better when you get to know the background of all the characters. Award-winning, Bestselling author Debra Clopton has sold over 2.5 million books and her holiday story, OPERATION: MARRIED BY CHRISTMAS has been optioned for an ABC Family Movie. Debra is known for her snappy dialogue, cowboy heroes and spunky heroines set in Texas. Her awards include: The Book Sellers Best, Romantic Times Magazine's Book of the Year. She's also a Romance Writers of America Golden Heart Finalist, and a triple finalist in the American Christian Fiction Writers Carol Award. A sixth generation Texan, Debra lives on a ranch in central Texas with her husband Chuck. She loves to travel and spend time with her family. She is the author of the much loved Mule Hollow Matchmakers series where you never know what the Matchmaking "Posse" is going to do next! She's written for Harlequin Love Inspired and Thomas Nelson/Harper Collins Christian and DCP Publishing. She is currently working on her 38th novel surrounded by cows, dogs and even renegade donkey herds that keep her writing authentic and often find their way into her stories. She loves helping people smile with her fun, fast paced stories. What a great book! As soon as Tessa stepped into town I began to fall in love with the characters that make up this book. Tessa is determined to be independent and to prove to herself and everyone around her that she can be a successful school teacher. She has a huge heart and it shows in her willingness to work double time to educate the community she is trying to become a part of. She seems like such a lovable woman, and it is easy to see why the kids – and the lightkeeper family – fall in love with her so quickly. Tessa is one to follow her heart first and think later. Although this is a great quality, it tends to get her into a bit of a hard spot with the leaders in town. But it is through immense love and determination that we get to see her rise above and end up in a wonderful place. Alex and Michael both won my heart as well. It was obvious from the early pages that they both found themselves falling in love with Tessa, and the actions that they take to try to win her over made me giggle on more than one occasion. They love Michael’s children and both work so hard to provide for the family. We get to see them fight light typical brothers, but we also get to see their willing to sacrifice their life and their happiness just to make the other one happy. I struggled throughout the book with trying to decide which one of the brothers I wanted to “win” Tessa, but I loved the way this book wrapped up their story. Throughout this book we get to see a community doing its best to simply survive. But we also get to see God working through the people of the community to show His love and His willingness to take care of His people. Although there is sadness and unfortunate events, there are also stories of survival and miracles. We get to see God work in His mysterious ways to bring the guilty to justice and provide success to those who trusted Him and did the right thing. I absolutely loved this book. I recommend it for your reading list. Although it is the third book in a series, it can easily be read as a stand alone book. 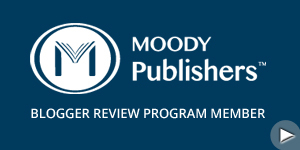 Be sure and grab your copy, or request it from your library. It is one you will want to read over and over again. She has the wonderful privilege of teaching her crew of 5 children at home. In between grading math papers and giving spelling tests, she occasionally does a load of laundry and washes dishes. When she’s not busy being a mama, you can find her in front of her laptop working on another of her page-turning stories. She loves reading almost as much as she loves writing, especially when it also involves chocolate and coffee. Ten-year-old Gracie Lee knows a few things. She knows which trees are best for climbing. She knows how to walk through the hallway without making a sound on the hardwood floor. She knows if Daddy's crop gets one more drop of rain, the whole family will pay the price. There are plenty of things Gracie doesn't know. These things keep her awake at night. Gracie longs for something bigger and grander and truer, and feels certain there is more to life beyond school and dull church sermons. She worries about the soldiers in Vietnam and wonders what it must be like to have been born Lisa Marie Presley from Tennessee instead of Gracie Lee Abbott from Arkansas. Mostly, she wishes her Daddy wasn't so mean. Gracie's unchecked imagination leads to adventure, and adventure leads to trouble. She confides in unexpected characters and seeks solace in a mysterious gray house beyond the cotton field. When Gracie faces a difficult family situation, she must make a life-altering decision, one that will test the very essence of her character. I love reading anything set in my home state of Arkansas, and this book was especially wonderful. In Boerner's debut novel we get to travel to the Delta region of the state in the mid-1970s. The delta region is full of farm land and residents make their living from cotton, beans, and whatever crops they can grow. It is fascinating for me to imagine that type of life, and very exciting to imagine it in the 70s. This book is told from the perspective of Gracie Lee, a ten-year-old daughter of a farmer. Gracie Lee has a wild imagination and seems to be wise beyond her years. She and her little sister live their lives carefree and mostly happy. Mom is the typical 70s homemaker, and Dad spends the daylight hours out on the farm. Mom takes the girls to church each Sunday, and early in this story Gracie Lee finds herself at the front of the church with Pastor Brown. 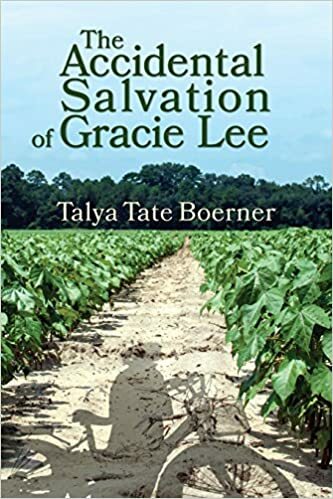 Baptism follows although Gracie Lee claims she never intended to be saved. One of my favorite parts of this book was each Sunday when Gracie Lee would go to the front of the church and have a conversation with Pastor Brown. It is during these conversations that Gracie Lee is fairly honest with her home life - which isn't always rainbows and ponies. Gracie Lee's daddy is a harsh man and I feel like a lot of Gracie's imagination is her escape to a happier home. This book spans one year of Gracie Lee's life and the ordinary days that fill the life of a ten year old. The characters were so completely real and I felt that by the end of the book I could vividly picture many of them in my mind. I won't give away any spoilers, but I can say that this story has one character that I truly wanted to die. I've never felt that way about a character before, but my heart went out to the people hurt by this character and I just wanted them gone. In the end Gracie Lee had to make a decision. A decision that would be impossible for an adult to make, much less an 11 year old girl. But we see her willingness to act in a way that both benefits her family and fulfills the wishes of the one person who has hurt her the most. In that moment I felt that Gracie Lee grew up, and completely found her salvation. This book has a bittersweet ending, but I thought it was perfect for the story that was told. I felt a sense of freedom on behalf of the characters when it was over, and I felt I could close the pages knowing that everyone was going to be okay. I most definitely suggest adding this one to your reading list for 2016. You are going to enjoy it for sure. As the daughter of an Arkansas farmer, Talya grew up playing in the cotton fields of Mississippi County while perfecting the art of making mudpies. After high school, she moved to Texas for college. Talya graduated from Baylor University with an economics degree primarily because her Daddy said, “If I’m paying for college, you’ll get a business degree.” So that’s what she did. For nearly thirty years, Talya lived in Dallas, built a successful banking career, married, raised two incredible children and enjoyed life—all the while planning to someday return to Arkansas. In 2011, after an “aha” moment, she left banking to pursue her dream of writing. Now she lives in Fayetteville with her husband and splits time between Northwest Arkansas and her family’s farm in Mississippi County. The New Year has arrived and is officially under way. I am already reading my second book of the year, and so excited about things happening here on the book blog. I have a few plans in mind for 2016, and I hope you will stick around for all the amazing things happening on Ting’s Mom Books. For starters, I have set my reading goal at 100 books for 2016! Eeek… that number seems so much higher when I actually say it aloud. We can do it!! In addition to the fiction books I regularly bring you, I will also be bringing some non-fiction in the coming year. Devotions, biographies, those types of things. But no worries, I am sticking to the Christian genres. I am also hoping to pick up the action on Wee Read Wednesdays with more kid books. My daughter is a reading machine these days, so maybe I will even let her take a few of those reviews. I am also hoping to participate in more author launch teams. I have done a few of these recently and they are so much fun. I love being able to get to know the authors a little more and be able to bring a more personal side to the books I am bringing you. And finally, I am launching out to YouTube. I have created my book channel over there and I would REALLY appreciate it if you would go subscribe. I will have book trailers, but also book reviews. Many times I finish a book weeks before it appears on the book blog. On the YouTube channel, reviews will be more in real time. I will also include my kids in some of the kid book reviews. And my dream is to have a few author chats over there. I think it would be so much fun to hook up with some authors and just chat about life. So go subscribe and get ready for something big! I appreciate you being here and look forward to 2016. Please feel free to leave comments or chat me up on social media. I would love to know who is reading the blog.